The new Nike Mercurial Vapor IX was launched in style, when 26 young and hopeful German talents were joined by Bayern Munichs Franck Ribery, Xherdan Shaqiri, Mario Mandzukic and Luis Gustavo at the big launch show in Munich. Here they competed on a special #BEMERCURIAL-control course, where quick feet and sharp ball feel was paramount. In the Bavarian capital everything was lined up for a grand show, with the Nike Mercurial Vapor IX as the centre of attention and this was despite four of the biggest stars, from the cities main club, Bayern Munich, dropping by. Ribery, Shaqiri, Gustavo and Mandzukic are all players who know, how important it is to have lightning quick feet and sublime ball control. The professionals all gave us a taste of their immense talents, when they, while wearing their Vapor IX's, elegantly and quickly danced through the row of cones and obstacles, all without ever losing control of the ball. Afterwards it was time for the young players to try and replicate their times and equipped with a pair of Vapor IX, they were definitely well prepared for the task. The four quickest among the 26 could look forward to a trip to Paris in the end of the month, where the grand #BEMERCURIAL-event will take place. Here they will compete with the winners, from other cities in Europe, and get the chance to possibly win even more fantastic prizes. Franck Ribery has, for many years now, delivered an incredibly high level of play and has really made himself a household name in the world of football. This is why Nike have provided him with a pair of Vapor IX Fireberry/Electric Green/Red Plum, he therefore joins other established stars like Cristiano Ronaldo and Zlatan Ibrahimovic in wearing the colourway. At the same time his team mate, the young Shaqiri, has been given a pair of Vapor IX Sunset/Volt/Total Crimson, that at the feet of players like Neymar, Walcott, Götze and many more, represent the young stars using the Mercurial-collection. 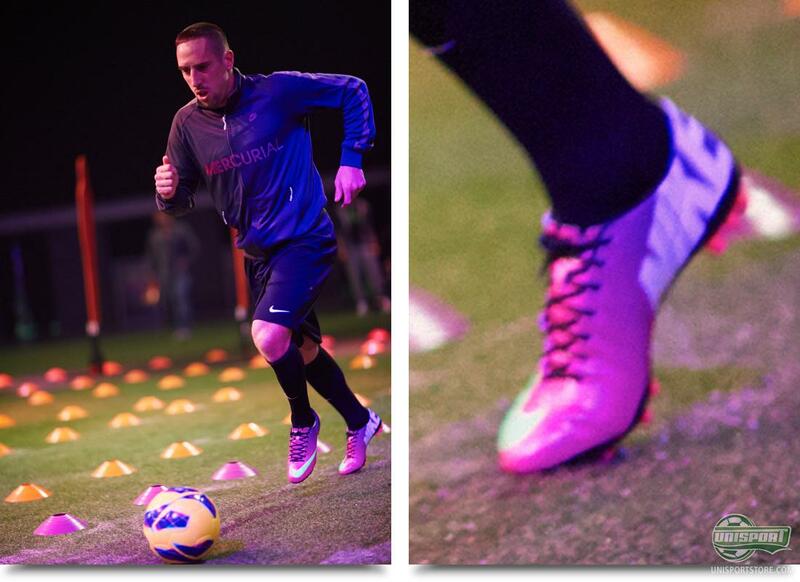 When Ribery showed off his audacious technique, we took a closer look at his boots. If you look at the stud-configuration, you can see, that the French super star has taken to using the AG-version, seeing as though the exercises took place on Artificial grass. It is the first time ever, that the top-model will be available with an AG stud-system and we can see that the professionals are already benefiting from this. Nike Mercurial Vapor IX has charged onto the big scene and it continues to gain momentum, as the Mercurial-collection looks to take over the boot market once more. Have you got a favourite among the three new colourways? 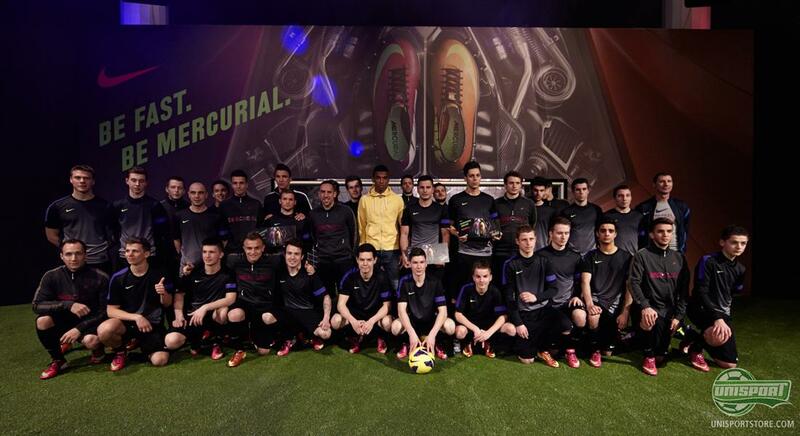 What are your thoughts on the #BEMERCURIAL-event? Share your thoughts in the box down below.